The weather is starting to look better - just in time for the weekend. We've had quite a bit of rain this past week. 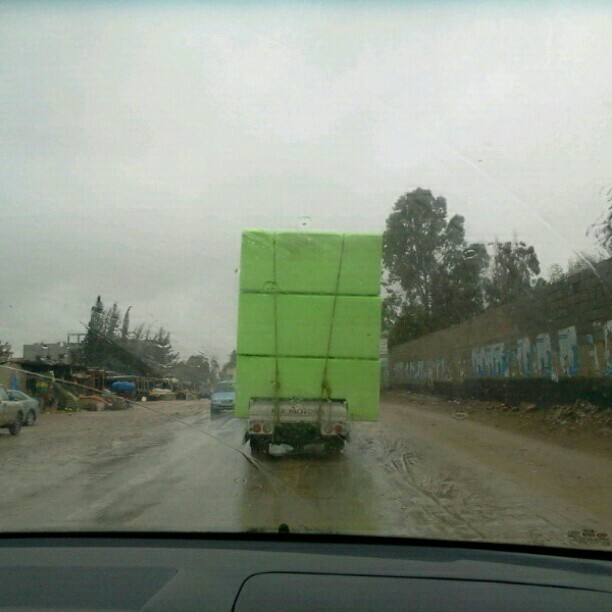 One day as I was driving to work in the pouring rain a truck carrying a huge load of foam that's used for making cushions and traditional Libyan style furniture pulled out in front of my car. It's a gigantic sponge, soaking up all the rain! No doubt those big foam sponges are going to start smelling moldy because they will never dry out properly. The weather report for the next few days says sunshine and clear skies. I've got plans to spend some time in the garden... soaking up the sun's rays. We're finally getting winter rains in Libya. Along with the rains come floods and treacherous roads and driving. The potholes are getting bigger and new ones are forming. The best thing though is that the kids are still on school holiday this week and we can stay at home where it's nice a warm. We've been painting the inside of the house this week. The kids have a two week break from school so I decided to keep them busy. They're doing a wonderful job, nearly finished now. So far it looks great. Yesterday they took a day off. They cleaned up all the paint mess and invited some friends over to celebrate Miloud - a not very Islamic holiday that commemorates Prophet Mohamed's birthday. Libyans have lots of traditions for this day, none of which our family bother with. The big focus is FIREWORKS, which can be found being sold everywhere on roadside stands in the weeks leading up to Miloud. Along with fireworks being sold are Christmas trees (whatever for? ), candles and gaudy crepe paper flower arrangements that have a five candle candelabra on top, torches made from rolled up newspaper dipped in wax, traditional Libyan drums and tambourines and cheap plastic toys made in China. Food is also a feature of this holiday. Depending on the family and region different traditional dishes are served, most notably is aseeda which is a flour dumpling served with melted butter and honey, or olive oil and date syrup certainly not for anyone who's looking to cut back on their carbs - but it is oh, so delicious! For me, the best thing is that I have a day off work and I'm going to take advantage of it to catch up on things around the house and visit my mother in law. To all those who celebrate, enjoy your holiday - Happy Miloud! - Please stay safe! I started out the year with a visit to a private elementary school in Tripoli and was horrified at the behaviour of both the students and teachers, but at the same time I wasn't really that surprised. There were also the usual problems of traffic and winter weather to contend with. I also mentioned a story about how one of my husband's friend's wife had got some pretty interesting VIP medical treatment in Jordan - for free. Soon there were other stories on the internet and in the news about similar money making healthcare deals going on with money that had been earmarked for wounded Libyan veterans. I also wrote about charity drives and events, security issues and the kidnapping of one of my daughter's friends. It snowed in Tripoli! Schools closed for the day and the whole town was excited. I reported about more checkpoints and security problems and getting caught in the crossfire. One reader wrote to ask what they should bring if they moved to Libya and I wrote a post about what I couldn't live without. There was some good news - an international aid organization was working in the area to clear unexploded ordnance. The end of the month brought foggy mornings with pictures of my farm enveloped in mist. Heavy rains made driving treacherous but the countryside was green and full of wildflowers. Meanwhile rubbish piled up along the sides of the roads and smoke from trash-fires filled the air. I came across a tweet posted on twitter that led me to ponder about Libyan women becoming owners of micro-enterprises. Spring break and the weather warmed up and thankfully the garbage situation was sorted out. Two of my daughters got their driver's licences. There was still unrest in parts of Libya. I found life in Libya frustrating as it seemed that 42 years of isolation just left everyone and everything in a state of backwardness. Nice news for me personally was that my photos of Libyan Street Art that had been on show in a gallery in Madrid where going to also be shown in Montpellier, France. Yeah! I also raided my husband's camera and posted some interesting pictures he'd taken of things in and around Tripoli. My friend gifted me a beautiful poem she wrote at the beginning of the revolution and gave me permission to post it on my blog. The stress of the war and the months following were getting to me. It was time to go home to Florida. Time to have a much need break. Time to visit my family, take care of my ailing mother and recover from all I'd been through. I made it safely to my mom's house in Florida and adjusted to jet-lag I also posted an update on beach safety in Libya - this year's beach safety post was about the danger of unexploded ordnance landmines and the possibility of anti-ship mines that might be leftover from the war. Still in the United States, I weathered tropical storm Debby and attended my sister's wedding. I went to the beach, parks, restaurants, 4th of July celebrations, furniture stores, baseball games and I took my mother to doctor's appointments. All the while my family back in Libya were voting for the very first time ever. Ramadan started - I hadn't spent the holy month outside Libya in 23 years. 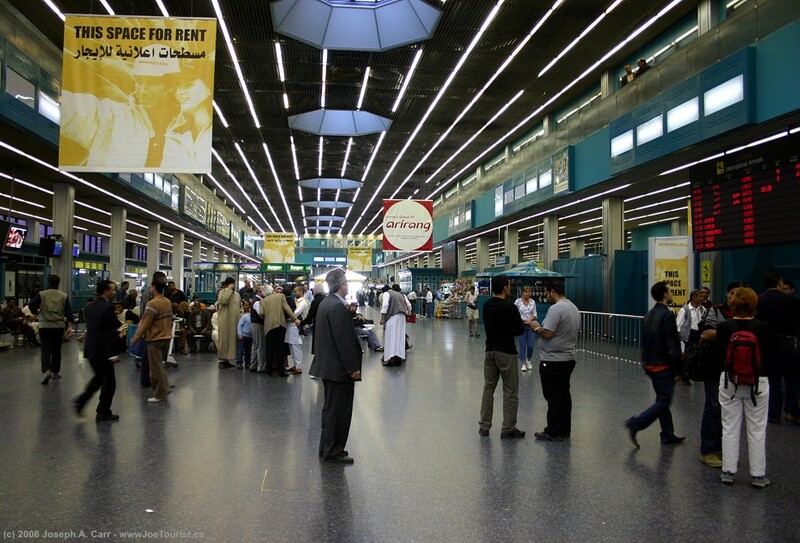 Ramadan ended and it was time to plan my return trip to Libya. Re-entry depression struck hard.... but I did my best to get through it. Then to top it off the US Ambassador and other staff members were killed in an attack on the American consulate in Benghazi. But finally, after waiting for three years, the exterior of my house got painted at last. More unsettled events in Libya, electricity cuts and security issues. I was pleased that the house was finally painted especially as the weather started to cool off and we were blessed with a few autumn rain showers. I also reported on more unexploded ordnance found in Libya, this time in the form of cluster bombs that no one seemed to know how to defuse. I made some plans for my to do list (that I still haven't done). I started the month with a minor car accident. Libya implemented daylight savings time for the first time in many years and the whole idea seemed to throw everyone off balance. I'm not sure if it's been very successful as most schools and businesses just started to open an hour earlier. Another blogger, Victoria, from Words on My Mind wrote a guest post for my blog in exchange for a post I wrote for her blog. We wrote about our first impressions of Libya upon our arrival. 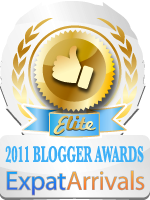 It was fun to do and we plan on doing another blog exchange sometime in 2013. There was only one lonely post for the month of December. It was a follow up of another blogger's (Old Momma of Trip of a Lifetime) first impressions and her renewed first impressions of Libya upon her return to the country after being gone for 6 years. 2012 was a busy year full of ups and downs. I was happy to have been able to travel back to the United States and spend the summer with my family and friends there. I hadn't posted as much as I had in previous years because behind the scenes of my blogging life I've been really busy with personal and professional development. Also for the past few months I've been loaded with work while I get a new English language training centre up and running. All of this is super exciting and I'm looking forward to a year full of new adventures as well as lots of personal and professional goals to meet. I looked at my site stats today and noticed that so far I've had over 405,000 visitors since I started writing in 2004. Maybe by the end of this year the number will reach half a million - in order to do that I'll have to do some more writing and post more often.... maybe that can be a resolution? May you have a happy and safe New Year full of God's many blessings.